"Pakistan struggles to attract tourists amid violence"
You've probably seen news reports (like the WaPo's) on a new Congressional Budget Office study comparing federal and private sector pay and benefits. It will add analytic fuel to the election year fire over federal pay cuts and such, because it reinforces an existing narrative that feds get paid way too bloody much. However, the report itself actually doesn't say quite that. 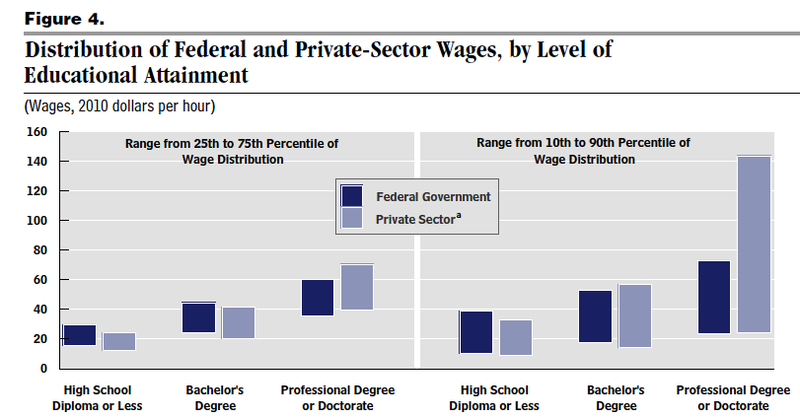 Read it here, or just take a look at the chart above (Figure 4 of the report), which shows how federal and private sector wages compare for employees with different levels of education. 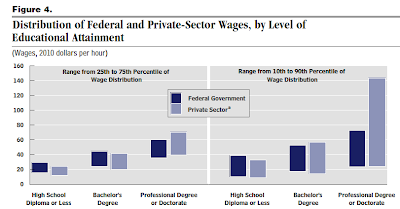 Differences in wages between federal employees and similar private-sector employees in the 2005-2010 period varied widely depending on the employees' level of education. · Federal civilian workers with no more than a high school education earned about 21 percent more, on average, than similar workers in the private sector. · Workers whose highest level of education was a bachelor's degree earned roughly the same hourly wages, on average, in both the federal government and the private sector. 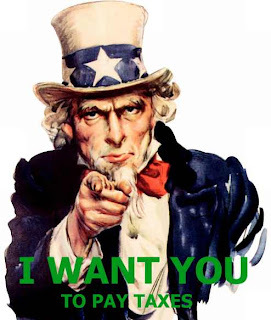 · Federal workers with a professional degree or doctorate earned about 23 percent less, on average, than their private-sector counterparts. Overall, the federal government paid 2 percent more in total wages than it would have if average wages had been comparable with those in the private sector, after accounting for certain observable characteristics of workers. The comparison on non-wage benefits worked out the same way. Feds with high school education did much better than their private sector peers, those with bachelor degrees did about the same, and those with graduate and professional degrees did much worse. Federal employment is heavily weighted toward professional or technical jobs, more so than in the private sector. The CBO report says that 51 percent of the federal workforce has at least a bachelors degree compared to 31 percent of the private sector, and 21 percent of feds have graduate degrees compared to 9 percent of the private sector. As best I can tell from the report, the disproportionately small number (compared to the private sector) of federal jobs that require only a high school education are so very lucrative that they offset the lower-than-private sector wages paid to federal professional and technical employees. That's interesting information, and potentially something that could counter the usual political lines of attack on federal pay. But forget about it! That would never happen in an election year, if ever. The headlines about the CBO report ought to say "Federal Jobs Pay Really Big Bucks to HS Graduates, Others Get Not So Much." But instead, I think they will be more like "Worthless Feds Paid Far More Than Hardworking Taxpayers!" 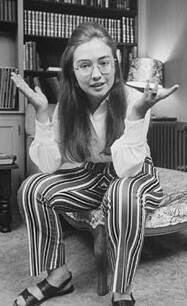 Foreign Policy's Passport blog has a piece on Hillary Clinton's dark Alinskyite past, with a link to the once-suppressed honors thesis on Saul Alinsky that she did at Wellesley College in 1969. 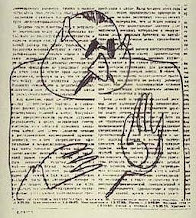 There is no dark secret in the thesis itself, however, since it amounts to little more than an extended book report. I thought it was a crushing bore when I read it a few years ago. Those pants may have been too radical even for 1969. I just saw this great video on the New York Times' The Lede blog. It looks like Vladimir Putin has some vocal opposition to his plans for re-investiture as Russia's Prime Minister on March 4th. A video of a musical group, apparently featuring former Russian paratroopers, performing a song with lyrics sharply critical of Prime Minister Vladimir V. Putin, quickly became an Internet sensation after it was posted to YouTube on Thursday. By Friday evening, the band had performed the song on a private television channel, TV Dozhd (Russian for TV Rain). The video had been viewed over 120,000 times by Friday night. Posted under the title “Putin and Paratroopers,” the song portrays Mr. Putin as nothing more than a corrupt bureaucrat who has “destroyed the armed forces” along the way. It pits the prime minister — who claimed in December that he thought the white ribbon, the symbol for the protest movement, was a condom — against the common man. You’re no different from me. A man and not God. A man, not some hick. [they're] nothing – just condoms. I love the gusty guttural sound of the Russian language! It sounds fantastic when shouted, I think. The banners in the background of the video are displaying versions of the post-Soviet era Russian Army Airborne Troops badge. "Россия" = Russia. 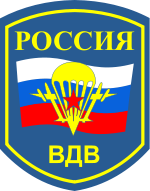 "ВДВ" stands for "Воздушно-десантные войска" = Air-Landing Forces. Their unit motto is "Nobody But Us," which is also the title of the song. British publications frequently offer some of the sharpest and most plain-spoken commentary on American politics. When I happened to wake up in the middle of the night last Wednesday and caught the BBC World Service’s live relay of President Obama’s State of the Union address to Congress, two passages had me rubbing my eyes in disbelief. I recalled a piece I wrote in this column on January 29, 2009, just after Obama took office. It was headlined: “This is the sub-prime house that Barack Obama built”. As a rising young Chicago politician in 1995, no one campaigned more actively than Mr Obama for an amendment to the US Community Reinvestment Act, legally requiring banks to lend huge sums to millions of poor, mainly black Americans, guaranteed by the two giant mortgage associations, Fannie Mae and Freddie Mac. It was this Act, above all, which let the US housing bubble blow up, far beyond the point where it was obvious that hundreds of thousands of homeowners would be likely to default. 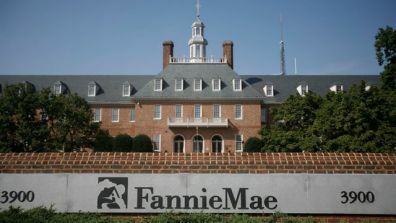 Yet, in 2005, no one more actively opposed moves to halt these reckless guarantees than Senator Obama, who received more donations from Fannie Mae than any other US politician (although Senator Hillary Clinton ran him close). I have two bones to pick with the above paragraph. First, not to take anything away from Obama, but it is Congressman Barney Frank who deserves the title of Fannie Mae's most active defender on Capital Hill in 2005. Watch the video of Frank, then the ranking Democrat on the House Financial Services Committee, assuring the House that "you're not going to see the collapse that people see when they talk about a [mortgage] bubble." Second, Booker understates exactly how much money Obama received from those government-sponsored mortgage associations. 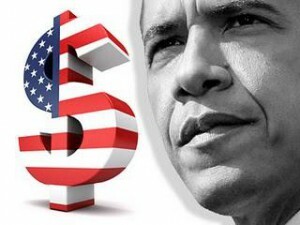 According to OpenSecrets.org, Obama was the second-biggest recipient of all Fannie Mae and Freddie Mac campaign contributions for the years 1989 to 2008. That's especially impressive when you recall that Obama was not sworn in as a U.S. Senator until 2005, and was elected to the Illinois State Senate only in 1998. The only office-holder who received even more boodle from the mortgage bankers was Christopher Dodd, who had been a U.S. Senator since 1974, and who, as Chairman of the Senate Committee on Banking, Housing and Urban Affairs, could give Fannie Mae and Freddie Mac the best return on their influence investment. FYI, Senator Hillary Clinton was the 12th biggest recipient, which is not far behind. A few months after Obama entered the White House, I suggested here that the slogan on which he was elected – “Yes we can” – seemed to have changed to “No we can’t”. It was already obvious that, having won election as an ideal Hollywood version of what “the first black President” should look and sound like, he was in reality no more than a vacuum. His speech last week was as weaselly as any politician’s performance could be, not least in its references to the sub-prime scandal. I sense a little typical English reserve there, don't you? Hey, don't sugarcoat it for your American readers, Mr. Booker, tell us what you really think. The administration did another Friday night document dump yesterday, this time delivering to Congress a series of Justice Department e-mails concerning the murder of U.S. Border Patrol Officer Brian Terry and the ATF's Project Fast and Furious, which permitted the illegal purchase and "controlled [sic] delivery" to Mexican crime cartels of the rifle used to murder Terry. All the back-and-forth messages between AFT Field Offices, DOJ headquarters, then-US Attorney Dennis Burke, and the DOJ Attache in Mexico City, will provide more grist for the investigatory mill of the House Committee on Oversight and Government Reform. Who knew what, and when did he know it? See the dumped documents here. The big enchilada is a discussion of “controlled deliveries” of straw-purchased weapons to Mexican crime cartels. Most of that occurs in several heavily redacted messages from the DOJ Attache in Mexico City reporting on the U.S. Government's belated (on February 4, 2011) disclosure to Mexican officials of Fast and Furious. Oh, yeah, that must have been a cordial meeting. For the first time, the Justice Department has made public a series of sensitive messages that passed to the highest levels of the agency within hours of an ambush that killed a U.S. border patrol agent along the Southwest border in December 2010, igniting a national scandal over a gun trafficking investigation gone wrong. Justice officials sent the documents to Congress late Friday evening, only a few days before Attorney General Eric Holder is set to testify before the House Oversight and Government Reform Committee. The email messages show the former top federal prosecutor in Arizona, Dennis Burke, notifying an aide to Holder via email on Dec. 15, 2010 that agent Brian Terry had been wounded and died. "Tragic," responds the aide, Monty Wilkinson. "I've alerted the AG, the acting Deputy Attorney General..."
Only a few minutes later, Wilkinson emailed again, saying, "Please provide any additional details as they become available to you." Burke then delivered another piece of bad news: "The guns found in the desert near the murder [sic] ... officer connect back to the investigation we were going to talk about — they were AK-47s purchased at a Phoenix gun store." That investigation, dubbed Fast and Furious, was supposed to follow U.S. weapons into the hands of kingpins in the violent Sinaloa Mexico drug cartel, building a big case against the gangs. Instead, it cost Burke his job, got the director of the Bureau of Alcohol, Tobacco and Firearms reassigned, and has prompted multiple federal probes by Congress and the department's own inspector general. 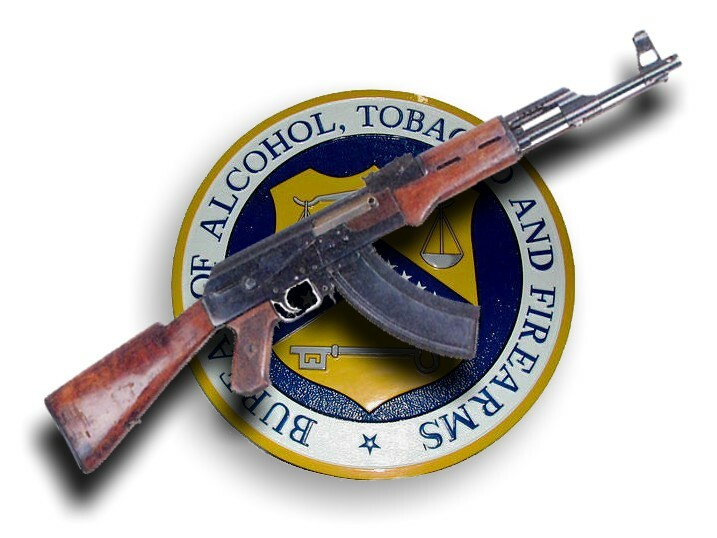 The Justice Department also sent a letter to lawmakers Friday night outlining several changes they had made within their own ranks and at the ATF: from requiring additional oversight in cases that involve wiretaps and confidential informants to extra procedures at the ATF for putting weapons purchases under surveillance to a realignment at the U.S. Attorney's office in Phoenix and the ATF itself. The new documents are certain to stoke the fires among congressional Republicans, who have questioned what the attorney general knew about the botched investigation and asked why the chief of the Justice Department's criminal division, Lanny Breuer, didn't do more when he found out about other questionable tactics used by ATF in gun trafficking probes in the Bush administration. In a meeting with Mexican government officials in February 2011, for instance, Breuer "suggested allowing straw purchasers cross into Mexico so [police] can arrest and [prosecutors] can convict. 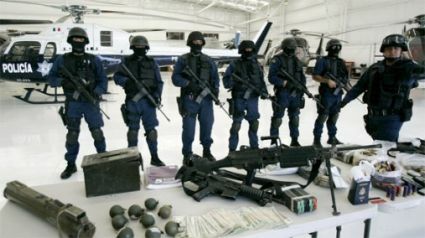 Such coordinated activities between the US and Mexico may send a strong message to arms traffickers." A Justice official, speaking on background, said Breuer's proposal involved coordination between the governments and didn't contemplate agents losing track of guns, as happened in the Fast and Furious debacle. A few days after the meeting between Breuer and Mexican authorities, the department's attache to Mexico raised this issue, according to an email: "there is an inherent risk in allowing weapons to pass from the U.S. to Mexico. The possibility of the [government of Mexico] not seizing the weapons, and the weapons being used to commit a crime in Mexico." The attorney general, in testimony to the House and Senate last year, said he feared the Justice Department could be living with the consequences of more than 1,000 guns connected to Fast and Furious that remain unaccounted for years to come. I made a hasty remark in my previous post, to the effect that only blue collar men and rich old geezers are stick-shift drivers anymore. Within a couple hours I heard from several women who also prefer driving manuals, so the stick-shifting driver demographic may be broader than I'd assumed. But I wondered: what percentage of cars in the United States have manual transmissions, regardless of the driver's gender, age, or income, and where could I find an authoritative source for that information? And immediately I realized: by asking the federal government, of course, since they know everything and put it all on the internet. Sure enough, the EPA's data on light-duty vehicle trends (see the executive summary excel tables) reports that in 2010 only 7 percent of our cars had stick-shifts, compared to 13 percent in 1998 and 29 percent in 1987. So, our stick-shift cars are slowing becoming a niche market for driving enthusiasts. Not so in Europe. I've seen news media reports that as many as 85% of European cars are sold with manual transmissions. That accords with my own observations while traveling abroad, however, I haven't found an official source on the subject. For some strange reason, European governments don't seem to be so loquacious as ours. Next I wondered: what American car brand sells the highest percentage of its cars with manual transmissions? (And I'm not including paddle shift transmissions or 'manualmatics' here; it has to have three foot peddles to count.) Is it Porsche, or BMW? Maybe Audi, or Volkswagen? Mazda? It's none of those. I learned that Mini Cooper sells more of its cars with stick-shifts than any other maker in the U.S., as much as 50 percent. Mini has a whole ad campaign directed at that market segment. See this informational video on becoming a manual, for example. I might wave to the next Mini driver I see while on my way to work tomorrow morning. We stick-shifters are a rare breed, and getting rarer. 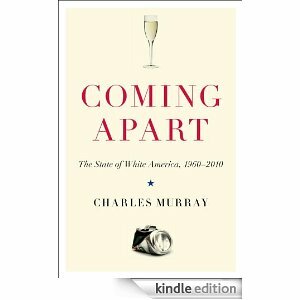 I took this quiz ("inspired by American Enterprise Institute scholar Charles Murray's new book, "Coming Apart: The State of White America, 1960-2010," which explores the unprecedented, class-based cultural gap in America. How culturally isolated are you?") and scored a 13-to-16 out of a possible 20. Those results mean that I don't even have a bubble. However, I'll admit I could not name the NASCAR guy. Maybe you can. I would guess that most of my immediate co-workers are pretty bubble-free, as well. Of my less immediate State Department co-workers, and especially among the more rarefied types of FSO, I suspect the class-based cultural gap bubbles get much, much, thicker. In my experience, a good quick indicator of class-based cultural position is whether or not a person can drive a stick-shift. 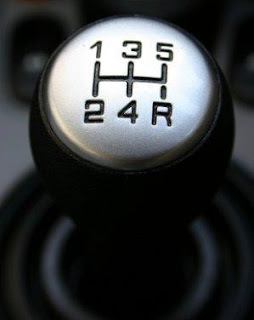 (This test is not applicable in Europe, where manual transmissions are common, but it works just fine among Americans.) Pretty much the only stick-shift drivers left in America are blue collar men and rich old geezers. Cultural book-ends, as it were. The Mustang GT drivers, and the Porsche Club of America types. By the way, most BMW drivers are excluded since the large majority of beemers on the road in America - or bimmers, to use their enthusiasts' preferred term for the BMW car versus the motorcycle - are automatics. That automotive range pretty much defines my personal class-based cultural odyssey, as well. Having been born a Mustang guy, I am now shopping for an entry-level Porsche hobby car with which to entertain myself in my senior years. So, Jay Leno told a joke about Mitt Romney, and now we have half of India in a sulk, and the State Department spokeswoman defending Leno's Constitutional right to perform satire? Lighten up, people. Though most comedians hope that their material stands on its own, some additional support from their country now and then doesn’t hurt either: The State Department stood up for Jay Leno after the “Tonight Show” host offended some Indian Sikhs with a joke that implied that a holy shrine in India was a home owned by Mitt Romney. Previously, Vayalar Ravi, India’s Minister of Overseas Indian Affairs, said he planned to speak with the State Department about a comedic bit that he called “quite unfortunate and quite objectionable.” The segment, during Mr. Leno’s monologue on Thursday night, showed the homes of various Republican presidential hopefuls, but when Mr. Romney’s summer house on Lake Winnipesaukee was mentioned the screen showed the Golden Temple in Amritsar, which is holy to Sikhs as well as to members of other Indian faiths. Victoria Nuland, a spokeswoman for the State Department, told BBC News that though United States and Indian officials had not communicated about the issue, the United States Constitution protected Mr. Leno’s freedom of speech. Ms. Nuland said she hoped that Mr. Leno would “be appreciative if we make the point that his comments are constitutionally protected in the United States under free speech, and frankly, they appeared to be satirical in nature.” She added that “Sikh Americans have contributed greatly to the United States” and noted that President Obama celebrated the birthday of Guru Nanak, the founder of Sikhism, at the White House. Neither Mr. Leno nor representatives for “The Tonight Show” have commented on the matter. The New Yorker magazine has a look back at the Obama campaign of 2008, and notes the personal nature of his attack on his rival candidate, Hillary Clinton. Congressional staffers owed about $10.6 million in unpaid taxes in 2010, a slight increase from the previous year and a growing slice of the roughly $1 billion owed by federal and postal workers nationwide. The WaPo provided a beakdown by agency, which shows that Treasury employees have the lowest rate of delinquency at under one percent (as you might expect, since they must make a special effort to avoid tax embarrassments), and the biggest scofflaws among cabinet agencies were Housing and Urban Development and the Department of Education, at 3.88 and 3.99 percent delinquent employees respectively. Department of State employees were reasonably law-abiding, with just under three percent of them - 394 employees to be precise - owing a total of $3,958,293. The first step, says the agency, which represents a government that went over 800 days without passing a budget, is: create a budget! Get a “realistic assessment of how much money you take in and how much money you spend,” it lectures those in financial doo-doo, seemingly oblivious of the fact that its own bosses have promised $60 trillion to a $100 trillion more in entitlements than the country has money to pay for. It continues: [L]ist your "fixed" expenses — those that are the same each month — like mortgage payments or rent, car payments, and insurance premiums. Next, list the expenses that vary — like entertainment, recreation, and clothing. Writing down all your expenses, even those that seem insignificant, is a helpful way to track your spending patterns, identify necessary expenses, and prioritize the rest. Prioritize! Who knew that the word even existed in the federal lexicon? But “irony” obviously does not because the FTC, with a straight face, goes on to offer advice for those who are not “disciplined enough to create a workable budget and stick to it.” And by this it doesn’t mean our elected representatives. And its advice is not that over-extended Americans call their credit card company and demand that it raise their credit limit every time they max out their card, as Uncle Sam has done 75 times since 1962. It suggests that they consider —wait for this!—“debt settlement.” And if no one is willing to settle, then the option of last resort is bankruptcy, although it warns its repercussions can be “long-lasting and far reaching.” No kidding! 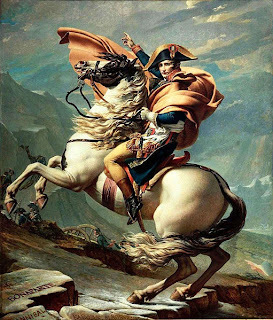 Doesn't he just seem to be saying: "Allons enfants de la Patrie, this way to the gift shop"? H/T to GWB for pointing out to me this fascinating historical / commercial proposal from France. 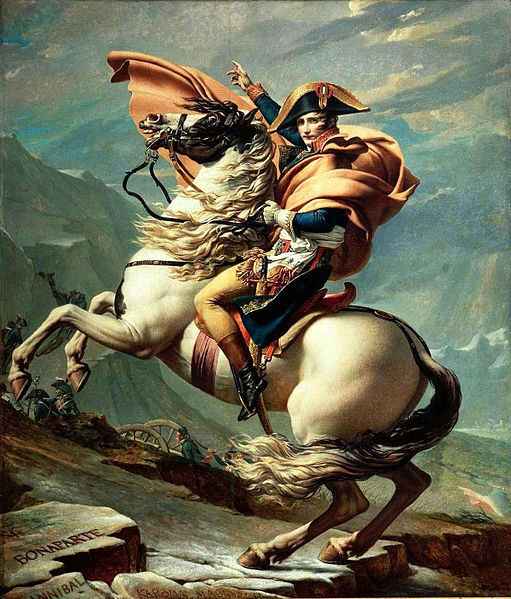 A former French minister and history buff named Yves Jégo is proposing to build a Napoleonland theme park as a showcase for Napoleon's greatest victories and to compete with Disneyland Paris. The park would go on the site of the Battle of Montereau, about 70 miles - oops, I mean, 112 kilometers - south of Paris. Montreau, BTW, was a great victory for the French but a relatively small action by the bloody standards of the Napoleonic Age, since fewer than 9,000 were killed there on all sides. The theme park will reportedly have a museum, a hotel, shops, restaurants, battle reenactments, and Napoleon-themed attractions. If it is to compete with Disneyland Paris, you know they'll also have to have fun stuff for the kids, like rides. And if the developers have any sense at all, they'll put up signs in front of the roller coasters and log flumes saying You Must Be This Short → To Ride, because a little easygoing self-deprecating humor would help to release the tension caused by, well, the whole Napoleon Complex thing. 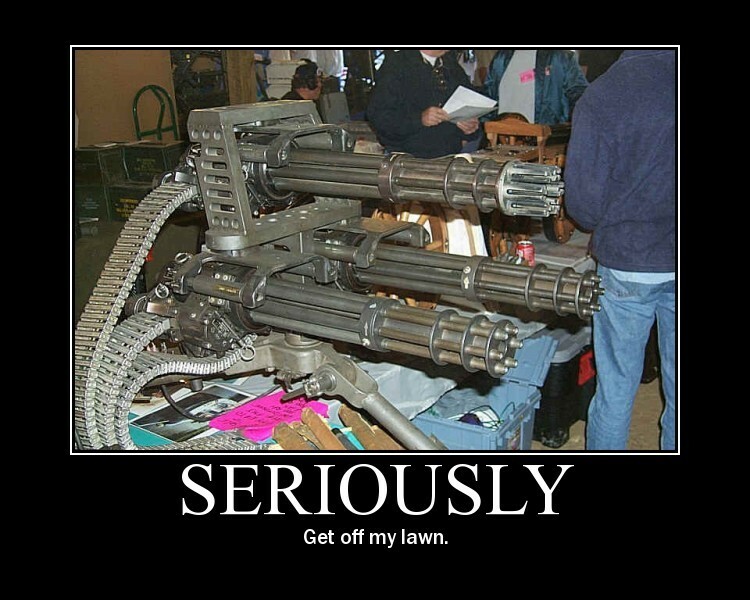 Meanwhile, the kids' parents could kick back with a couple Whiff of Grapeshot Wine Coolers. I see great commercial possibilities here. "It's going to be fun for the family,” [Yves Jégo] told the Times. Napoleon's retreat from Moscow must be the inspiration for that "curious" - not to say macabre - ski run. I'm sure it will be much more fun for the tourists than it was for Napoleon's Grande Armée. 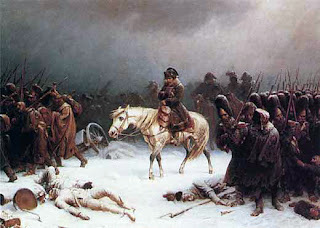 They were half a million troops strong when they invaded Russia in August of 1812, but only 27,000 of them came back out the following December. Something about this whole idea is just wrong. Napoleonic warfare isn't suitable for a theme park treatment. The developers ought to repackage the whole deal into a battlefield preservation project, which would also have potential for economic development, but without the cringe-inducing factor of frozen corpses and such. Yves Jégo should look at how the U.S. government promotes heritage tourism as an example of how he could combine economic development with French history. 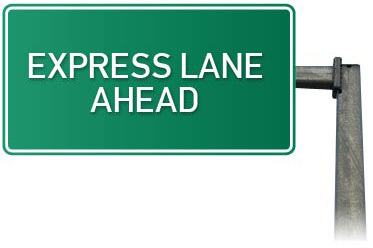 Here's a tip - avoid calling it "Visa Express" this time. 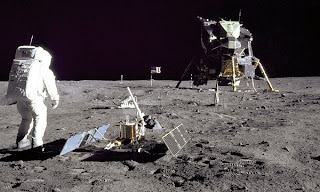 To the moon, that is, where unregulated commercial activity might eradicate the remains of our first lunar landings. 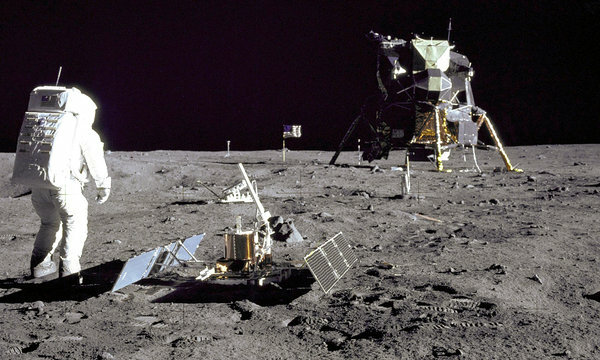 [F]or archaeologists and historians worried that the next generation of people visiting the moon might carelessly obliterate the site of one of humanity’s greatest accomplishments, [the designations by New Mexico and California of historic artifacts left behind on the moon by the Apollo program] were important first steps toward raising awareness of the need to protect off-world artifacts. NASA held a workshop a year ago about the preservation issue. Then [Robert Kelso, manager of lunar commercial services at NASA’s Johnson Space Center in Houston] led a team that cataloged what was left on the moon after the six Apollo landings, and it recommended how to balance historic preservation with the likely desire in the future to investigate how well the materials have lasted. “In that case, it would protect every footprint from Neil and Buzz and all the flight hardware,” Mr. Kelso said. I'd never thought about lunar preservation before, but it makes sense. We already have 936 World Heritage Sites here on Earth, and I would rank the Apollo 11 landing site in the Sea of Tranquility a good deal higher in heritage value than many of those. Hillary is the one on the left. On the right is US Ambassador to Liberia Linda Thomas-Greenfield. In an important symbol of America’s commitment to an enduring friendship with the people of Liberia, as well as the importance of our bilateral relationship with the Liberian Government, the United States dedicated its new embassy in Monrovia today. 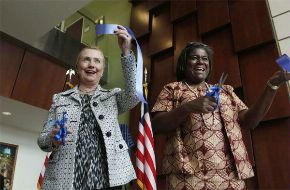 U.S. Secretary of State Hillary Rodham Clinton, in connection with her visit to attend the inauguration of Liberian President Ellen Johnson Sirleaf, presided at an in-house dedication ceremony yesterday [see her remarks here]. U.S. Ambassador to the Republic of Liberia, Linda Thomas-Greenfield attended the public ceremony today, joined by President Ellen Johnson Sirleaf; Minister of Foreign Affairs, Toga Gayewea McIntosh; Pro Tempore of the Liberian Senate, Senator Gbezongar Milton Findley; and Managing Director for the Bureau of Overseas Buildings Operations’ (OBO) Office of Construction, Facility, and Security Management, Rodney Evans. Occupying a 12-acre site in Mamba Point, the multi-building complex creates a secure, sustainable, and pleasant workplace for approximately 400 employees. The Embassy’s permanent art collection features artworks by 51 celebrated American and Monrovian artists, curated by OBO’s Office of Art in Embassies. These artworks focus around the themes of tradition and renewal through lively images of agriculture, education, music, African American history and culture, and a love of homeland. The new embassy incorporates numerous sustainable features, most notably, a rainwater collection system with a 264,000 gallon tank to handle the majority of potable and irrigation water needs, a photovoltaic system located on the parking canopy structure, high-efficiency mechanical chillers, and a building automation system. The facility is registered with the Green Building Certification Institute and is entering the formal review process with enough credits to earn a LEED Gold rating. B.L. Harbert International of Birmingham, Alabama constructed the project, which was designed by Page Southerland Page of Arlington, Virginia. The $164 million project generated jobs in both the United States and the Republic of Liberia. Since the 1999 enactment of the Secure Embassy Construction and Counterterrorism Act, the Department has moved more than 26,000 people into safer facilities. OBO has completed 88 diplomatic facilities and has an additional 41 projects in design or construction. 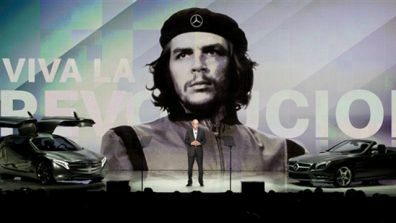 The Mercedes-Benz unit of Daimler AG rolled out a new advertising campaign with a revolution theme this week at the International Consumer Electronics Show in Las Vegas. One of the cutesy advertising gimmicks was to use the image of Che Guevara - see the Mercedes emblem on Che's beret? - to appeal to Mercedes' customer base. Why would they do that? Because, as everyone knows, upscale geezers love vicarious association with Latin American communists. The ad was yanked after predictable complaints from Cuban-Americans, including U.S. Sen. Robert Melendez (D-N.J.) and Florida State Sen. Mario Diaz-Balart. But I am left wondering, what did Guevara drive during his post-revo years in Havana? Surely not a Mercedes (way too bourgeois). Did he stick with his political convictions and drive a Russian ZiL limo, as would befit a commie bureaucrat? Or maybe he went proletarian, and dug out that old Norton motorcycle from his 1952 road trip. See a slideshow of the Depósito's exhibits here. If I ever get a TDY to Havana, I'm going to check that place out. It's been two years since the devastating earthquake in Haiti. At least one quarter million people were killed outright, another million were made homeless, and one of the largest humanitarian crises in modern history ensued. After two years of massive relief efforts on the part of the U.S., the UN, and others, reconstruction is moving at a snail's pace. Only half of the earthquake rubble has been removed, half a million people are still living under tarps and tents, and less than half of the promised relief funds have actually been disbursed (which probably says something about the risk of public corruption traditional business practices in Haiti). The cherry on top of this towering heap of tragedy is that thousands of Haitians have died of a cholera outbreak. Incredible as it may seem, especially if you are familiar with Haiti, cholera is A BRAND NEW DISEASE there. It was perhaps the only form of misery that Haitians had not already experienced. And it appears that the disease was inadvertently brought to the Island of Hispaneola by the UN itself. How cholera landed in Haiti has been a politically charged topic for more than a year now, with the United Nations repeatedly refusing to acknowledge any role in the outbreak despite mounting evidence that international peacekeepers were the most likely culprits. 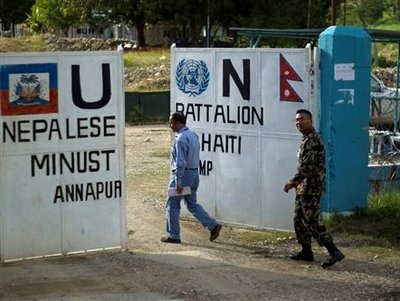 The UN has already faced hostility from Haitians who believe peacekeeping troops have abused local residents without consequence. They now face legal action from relatives of victims who have petitioned the UN for restitution. And the cholera charge could further hamper the UN's ability to work effectively there, two years after the country was hobbled by the earthquake. "The scientific debate on the origin of cholera in Haiti existed, but it has been resolved by the accumulation of evidence that unfortunately leave no doubt about the implication of the Nepalese contingent of the UN peacekeeping mission in Haiti," said French epidemiologist Renaud Piarroux, whose research on the outbreak was published by a U.S. Centers for Disease Control journal. Louise C. Ivers, an infectious disease specialist and professor of global health and social medicine at Harvard Medical School ... witnessed firsthand the destruction it caused as hundreds of villagers started dying from an unfamiliar malady. "It was overwhelming," she said. "There were no reported cases in Haiti before 2010, ever. Really people had no idea what was happening. To hear the fear and the suspicions and the lack of understanding about how this was happening is very, very sad. The outbreak put a huge stress on what was already a very fragile health system. I'm afraid it will be a problem for the foreseeable future." She said what has made Haiti so vulnerable was a lack of latrines and clean potable water. She said there have been small outbreaks in the Dominican Republic, but nothing on the scale of what hit Haiti because conditions are more modern and sanitary. Mekalanos said ... "Cholera is a disease of the impoverished ... When the standards of living are already at the lowest levels, cholera is a killer of historic proportions. If it spreads to other parts of the world, in those kinds of settings, I fear there will be a very high rate of death." Relief and development organizations ought to take something like a Hippocratic Oath to do no harm. The website whitehousedosssier ("dedicated to preserving freedom by holding the White House to account") has a nice feature where you can check Obama's daily schedule. This week was a busy one for fundraisers; Obama did two on Monday, three on Wednesday, and one more today. Those bucks add up. The WaPo reported yesterday that Obama raised $42 million for his re-election campaign and another $24 million for the Democratic National Committee over the final three months of 2011. The daily newspaper Reforma, one of the most respected independent outlets, reported 12,359 drug-related killings in 2011, which it said was a 6.3 percent increase over the previous year. As a comparison, there were 2,275 drug murders in 2007. Other media reported similar numbers. Daily Milenio recorded 12,284 drug-related deaths in 2011. The La Jornada newspaper counted 11,890 deaths in 2011, which it said was an 11 percent decrease from the previous year. The Mexican government has not reported the official figures yet (they say they will next month), which might be a clue that the figures are too embarrassing for them to report in a national election year. But the figures are out there, all the same. The Justice in Mexico Project, sponsored by the Trans-Border Institute of the University of San Diego, has tons of excellent data sets and analysis of the drug wars here. The bottom line is the situation got just a little bit worse last year. About six percent more people were killed than in 2010, with a slightly higher incidence of women and innocent victims. Beheading became a little more popular as a signature method of execution. The weapons and tactics got somewhat more military - is that an AT4 anti-tank rocket next to the hand grenades in the photo above? One of the few bright spots is that the murder rate appears to be down in border manufacturing hub of Ciudad Juarez, dubbed Murder City, by about a third. Baja California and Tijuana also saw decreases in homicides. The murder rate is down by a third in Juarez? Sounds good, but that might be because more Mexicans are fleeing the violence. The University of Texas El Paso's student reporting project on the Mexodus indicates that over a quarter million people have either been internally displaced to safer regions in Mexico or have crossed the border. Anyone in Juarez with two pesos to rub together has most likely sought a safe haven elsewhere. What's the right word for a tragedy that got just a little more tragic?